I’m in an opening tomorrow at Studio 460 just south of Wickford Lumber on Tower Hill Rd. It’s a neat space and there is a smattering of local artist’s showing. It runs from 4-8 and I’ll be there after 6. Come share some nibbles with me and enjoy the show. The painting here is what I’m currently working on. 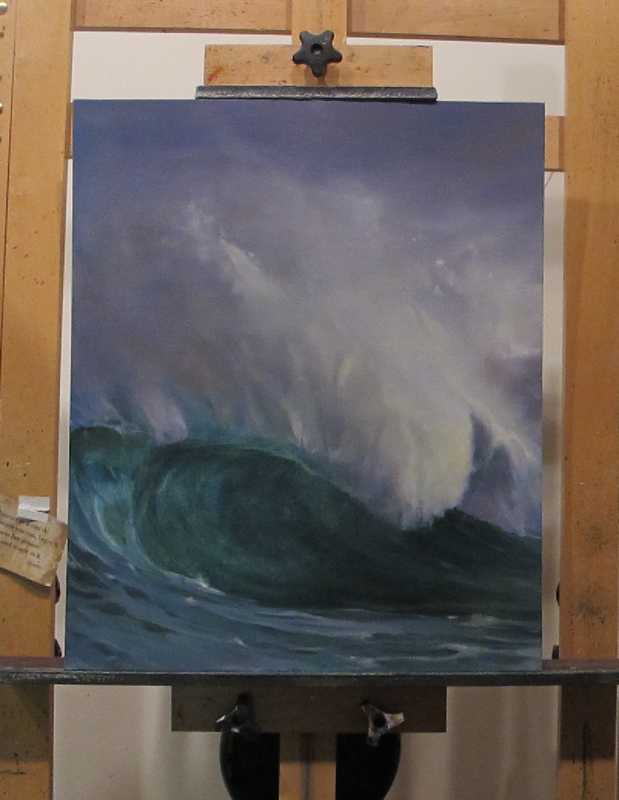 It’s one of 3 wave paintings I’m working up simultaneously even tho they are nothing alike.